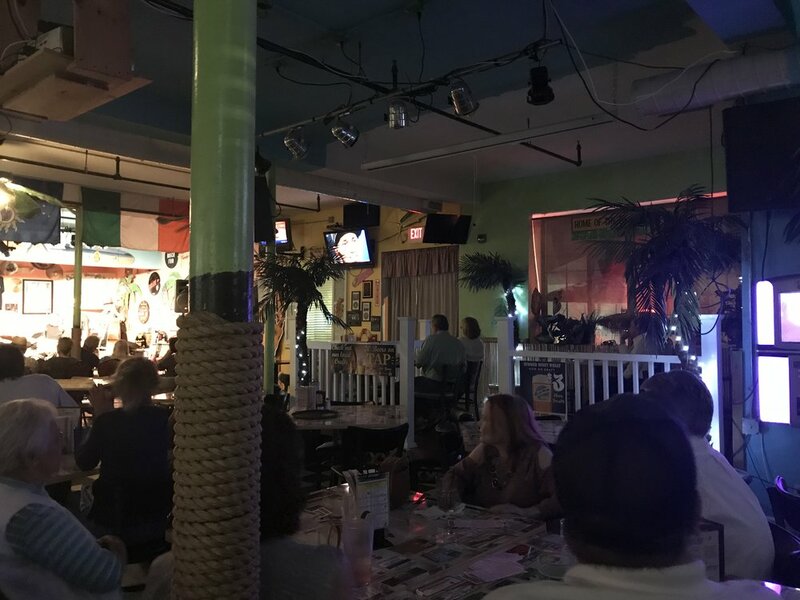 BaHa Brothers is one of those venues that is a delight but you might easily miss it with it being nestled away in its own oasis. In the heart of Taunton MA is a great venue that hosts a regular weekly blues night along with other great events throughout the week. 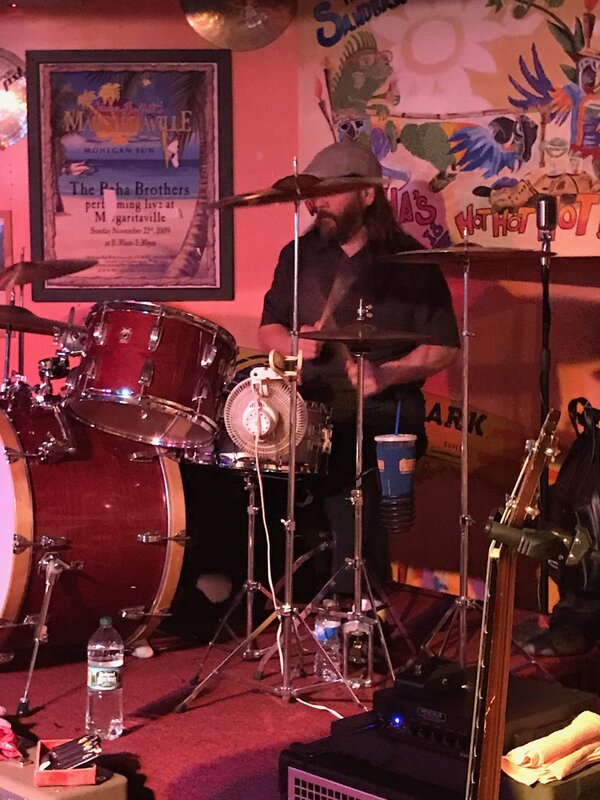 The band, BaHa Brothers was founded by Jay Gonsalves, Bill Strojny, and Matt Wasylow in 1992 to fill the need for a beach party band in the Boston and Cape Cod area. 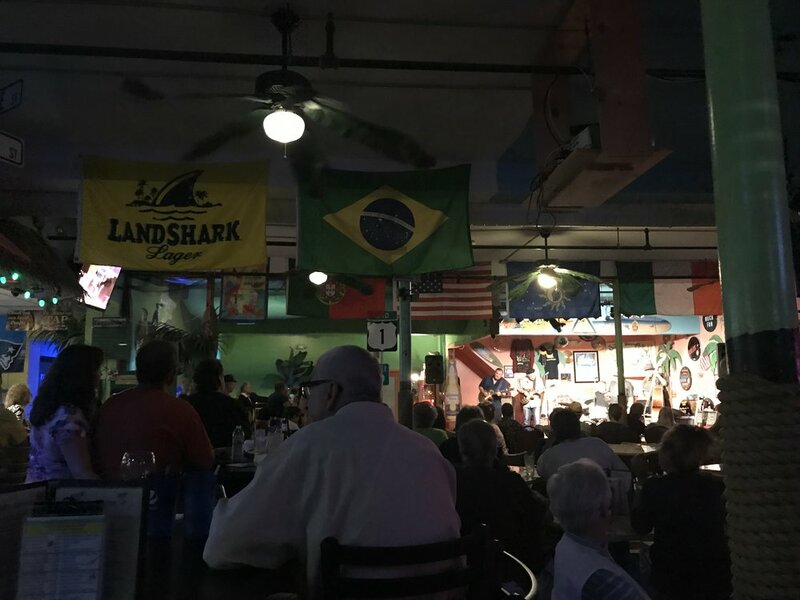 After years of touring and playing all over the country the band and their friends and business partners opened the Sandbar Grill to bring a taste of the Key West up north. It's no surprise then that the stage is set up in a large corner area such that there is not a single bad seat in the entire venue. Speaking of seating, there is plenty of it available and it is set up so that you can dance without totally blocking those who are sitting in the audience. Two of my favorite parts of a venue are acoustics that lend to an easy listening experience and lighting that makes it easy to see but doesn't blind you in the process. Finding the balance of lighting the band without blinding the audience can be a challenge in any venue of any size. Many venues get it figured out and it works quite nicely. Some don't... BaHa Brothers has figured it out and it works! I've sat in just about every area and the sound fills the room without getting too over powerful or experiencing dead or quiet spots that might leave you wondering if you left the q-tip in your ear that morning. The staff are quite friendly and work hard to make sure you are taken care of throughout the night, but not in that annoying clingy "please let me take your plate for you, tell me that you need more ketchup" kind of way. They do offer a menu of the standards that you would hope to find in an establishment where a Grill is mentioned in the name. And as I've worked my way through the menu, I'm still a happy person. There are two adjacent lots that make for reasonably located and free parking. The venue is set back from the main road, at 64 Weir St, Taunton MA 02780, so take care that you don't miss it. I promise that the second you see it, you'll know it. 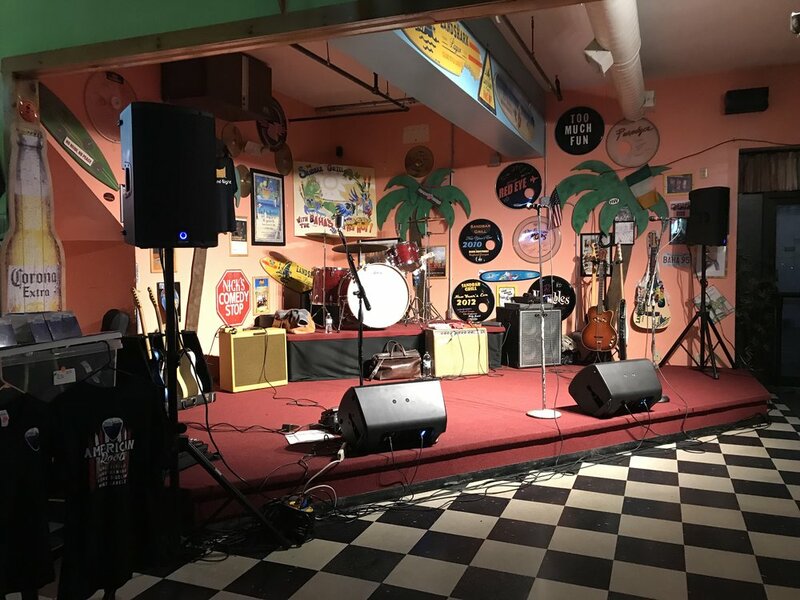 This is one of my favorite venues to go get my fix of Neal and The Vipers. I feel confident you'll enjoy it too!